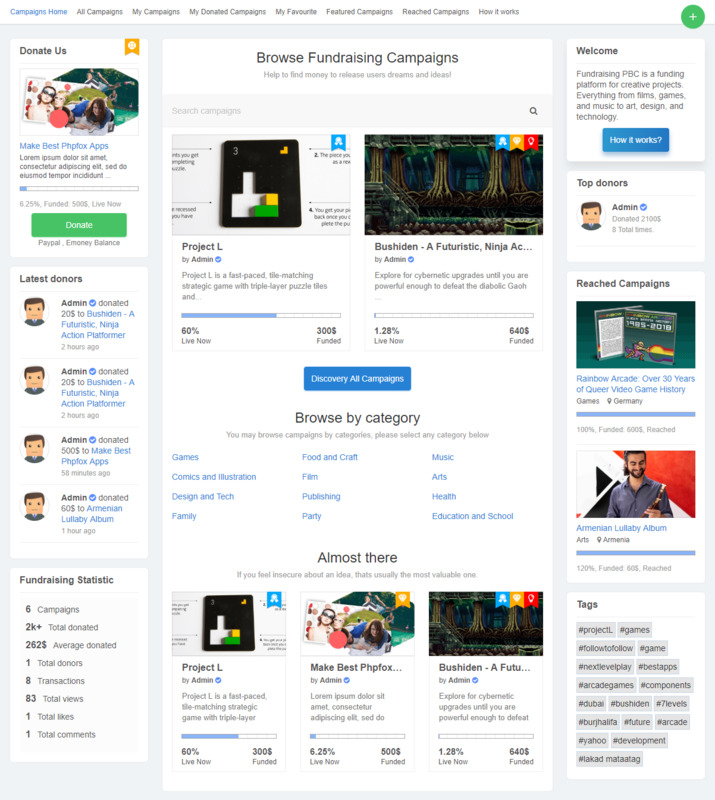 Donate and Fundraising App 4.62 - plugin for PhpFox. Got a business idea? Great! Now, thinking about its funding. 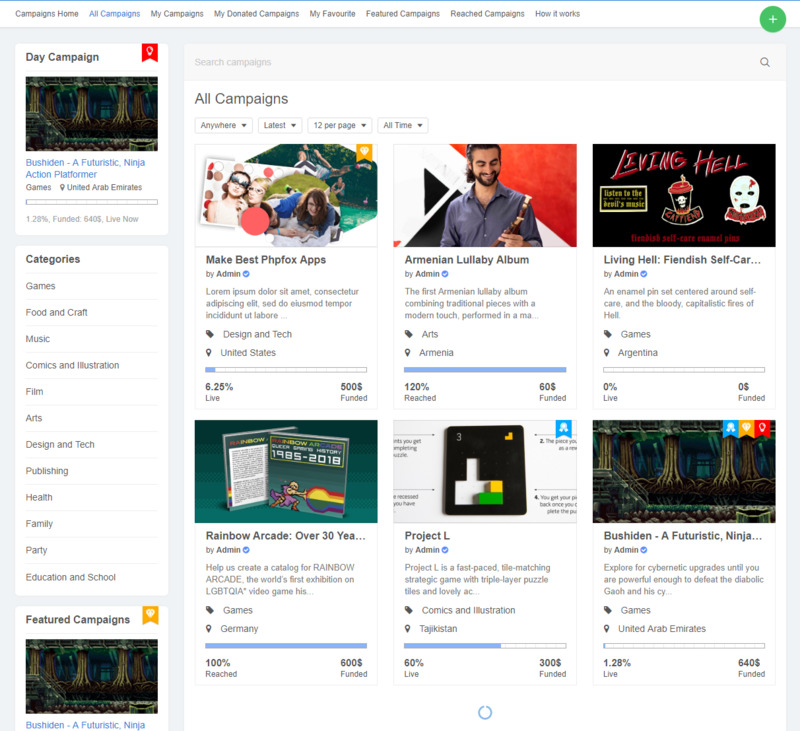 With a huge number of user friendly features and customisations, this app is everything your users could want from Crowdfunding and Donatinons on your social network. 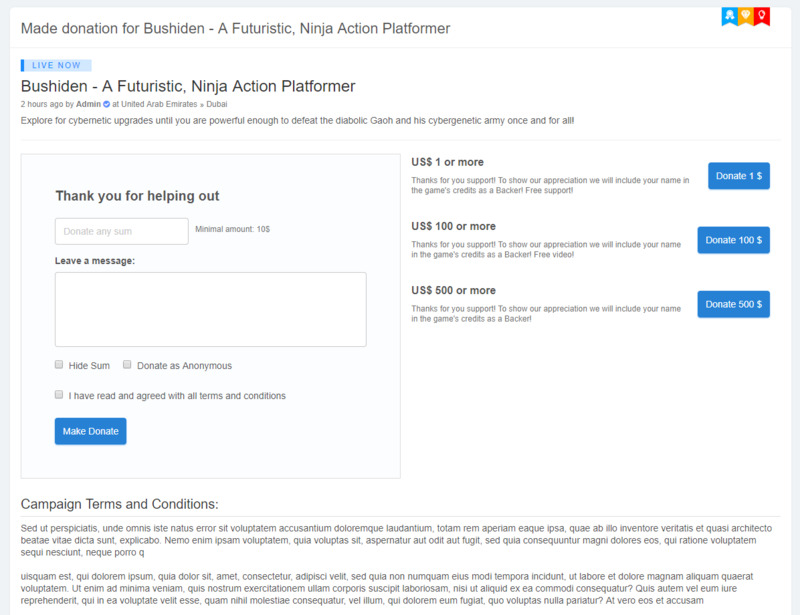 Also this plugin very suitably if you just want to add donation for your website, describe your needed and put it as Site campaign. 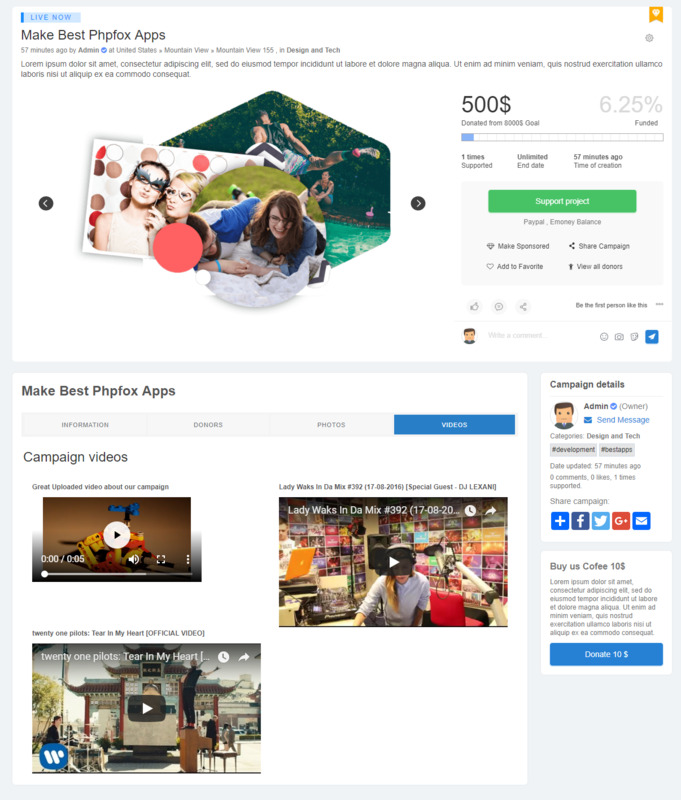 Ultimate solution for an online Crowdfunding / Fundraising / Donations section on your phpfox site. 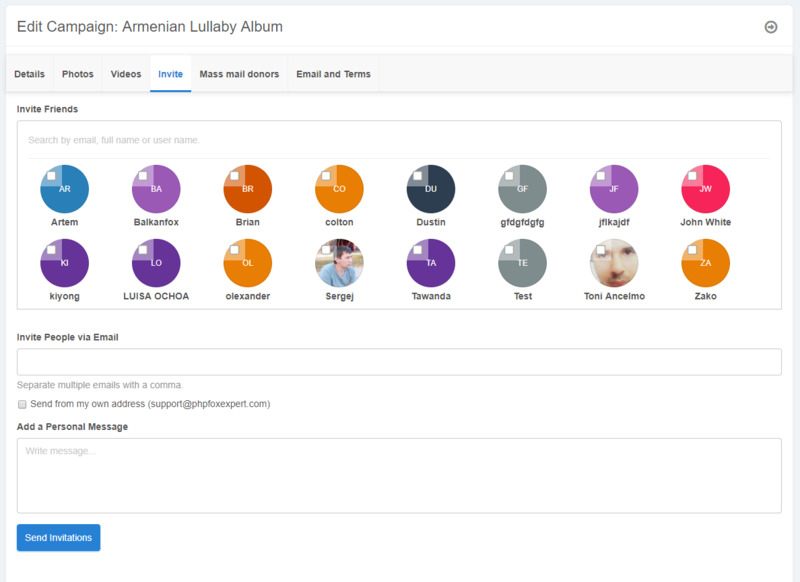 Detailed information about campaign (Perks, photos, videos (youtube and mp4), tags, big description with attachments). 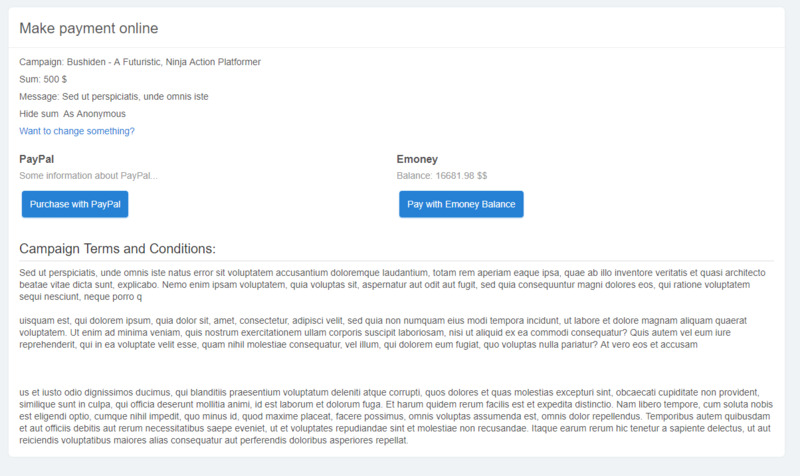 Good monetization with Emoney commission and sponsored features (Campaign). 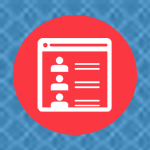 Manage in admin interface all things (categories, campaigns, Transaction). Also have many admin and user groups settings. 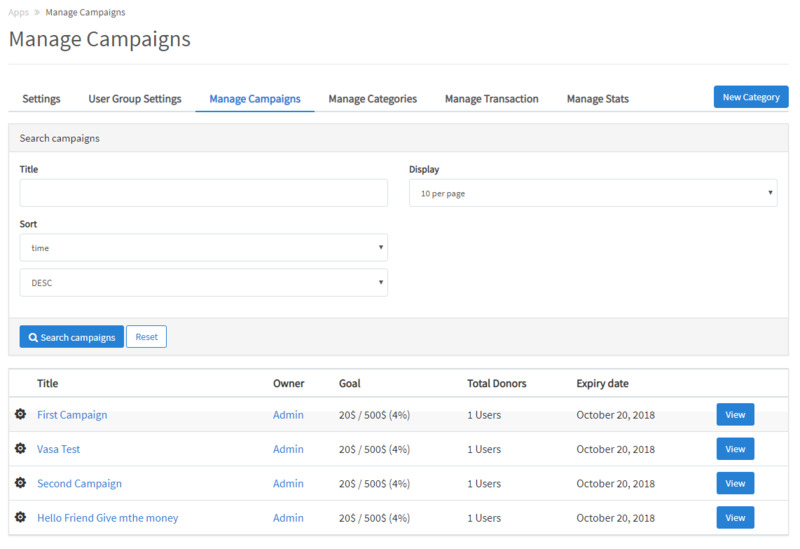 All website fundraising statistic for admin in admin panel (select from to dates and filter that stats). More than 15 different blocks.